Breitenbush Hot Springs Retreat and Conference Center is located along the Breitenbush River in the fantastic Willamette National Forest, 9 miles northwest of Detroit, 60 miles east of Salem. The river and hot springs were named after a hunter Lewis Breitenbucher, who explored this place in the 1840s. By 1897, the hot springs, under the successful management of John Hollingsworth, had become a popular place for visitors who were looking for relaxation, healing, and rejuvenation. In 1904 the upper and lower pools were separated. In 1904 the upper hot springs were granted to Claude Mansfield by President Theodore Roosevelt. In 1927, the property was purchased by the Bruckman family. Later, new owners built and managed the lodge and spa. 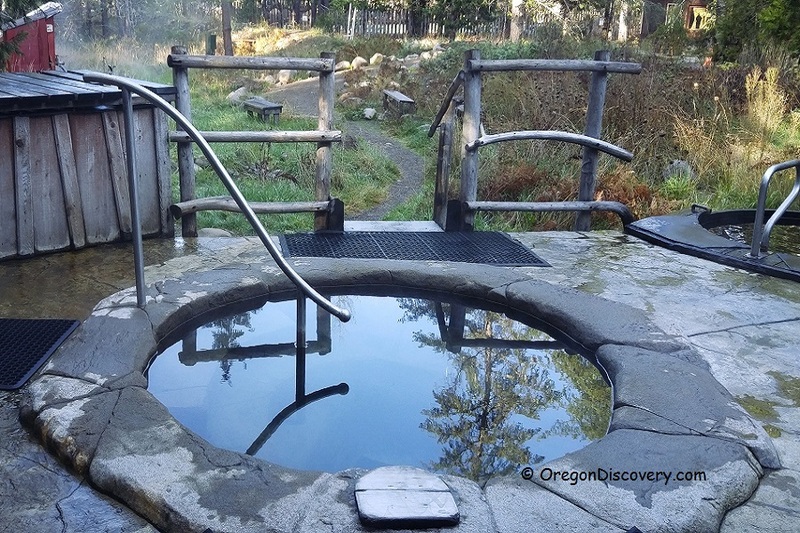 Breitenbush Hot Springs prospered during Bruckman's ownership. The resort had a large 100-foot pool, post office, grocery store, gas station, restaurant, and dance hall. In 1957 Merle Bruckman retired and sold the property. 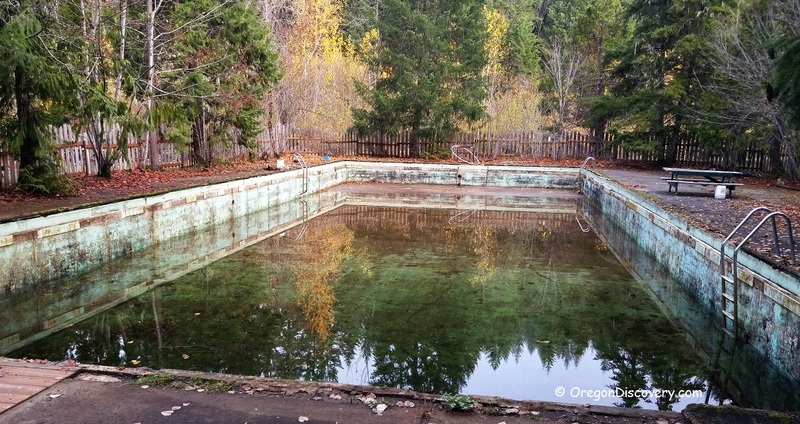 Two devastating floods in the 1970s damaged the resort and, finally, Breitenbush was closed. In 1977, Alex Beamer purchased the property. During the resort development, he focused on self-sufficiency, personal growth, and natural beauty preservation. Together with the volunteers who shared his vision, he restored the property. In 1985, the resort was purchased by a cooperative that supported Alex Beamer's vision. Now, for more than 30 years Brietenbush Hot Springs Retreat and Conference Center has been managed by a worker-owned cooperative. Unfortunately, two large floods in the 1970s damaged the property. The upper hot springs were restored in 1977. The lower hot springs were never rebuilt. Hopefully, the Forest Service that manages this area will find a way to restore this beautiful spot. Over the years, Breitenbush has developed a reputation for being a great destination for people who like soaking and relaxing in the hot mineral water while enjoying the natural beauty of the ancient forest and mountains. Breitenbush Hot Spring is extremely hot. The temperature of the source is about 180°F (82°C). The temperature of the hot pools varies between 101 to 109°F (38 to 43°C). Soaking pools and tubs operate on the flow-through basis. For this reason, no chemical treatment is required. 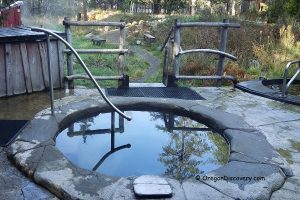 On the lower level, there are four Spiral Tubs, each is maintained at a different temperature from warm to very hot; also, there is a deep cedar tub with cold water for plunging. On the upper level, there are three natural pools. Lined with the river rocks, these pools overlook the river, a meadow, and mountains. One of the pools, named "Silent", is the hottest and designed for a quiet soaking. Breitenbush Hot Springs offers well-being programs such as yoga, EDGU (Spinal Health Exercise), meditation, massage, and different workshops. Other features include a steam sauna, cozy cabins, conference center, library, forest trails, Stone Labyrinth, and gift shop. Payment per day varies, although its popularity means that advanced notice is required. 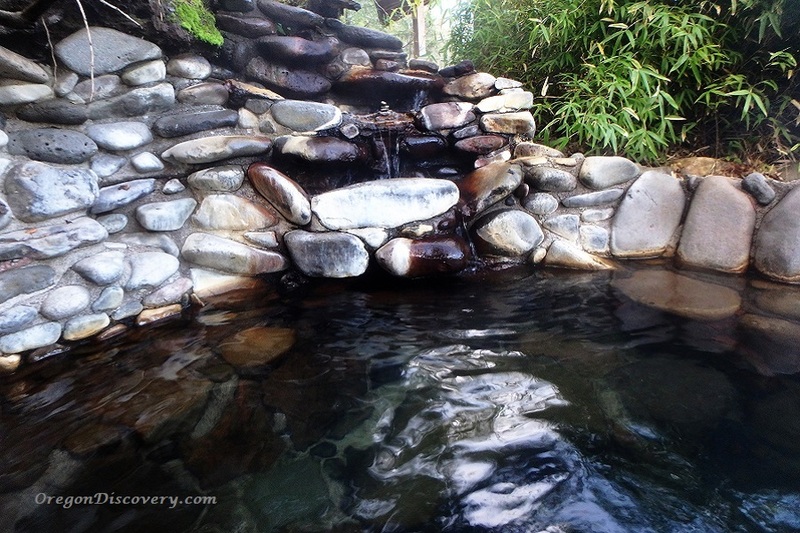 Check availability on the Breitenbush Hot Springs website. You can also reserve a cabin or lodge room. Turn left and the destination will be on the left.